This is a routine patch with our standard 14 day notice period. There is no evidence that the issues fixed here are being used against any sites. Nature of vulnerability: Low severity, no data exposure or privilege escalation for anonymous users. The patch will be released at 2017-11-28 15:00 UTC. The security fix egg will be named Products.PloneHotfix20171128 and its version will be 1.0. Further installation instructions will be made available when the fix is released. There is also free support available online via the Plone forum and the Plone chat channels. 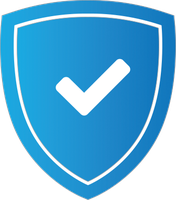 Q: When will the patch be made available?A: The Plone Security Team will release the patch at 2017-11-28 15:00 UTC. Q. What will be involved in applying the patch?A. Patches are made available as tarball-style archives that may be unpacked into the products folder of a buildout installation and as Python packages that may be installed by editing a buildout configuration file and running buildout. Patching is generally easy and quick to accomplish. Q: How were these vulnerabilities found?A: The vulnerabilities were found by users submitting them to the security mailing list. Q: My site is highly visible and mission-critical. I hear the patch has already been developed. Can I get the fix before the release date? A: No. The patch will be made available to all administrators at the same time. There are no exceptions. Q: If the patch has been developed already, why isn't it made available to the public now? A: The Security Team is still testing the patch against a wide variety of configurations and running various scenarios thoroughly. The team is also making sure everybody has appropriate time to plan to patch their Plone installation(s). Some consultancy organizations have hundreds of sites to patch and need the extra time to coordinate their efforts with their clients. Q: How does one exploit the vulnerability?A: This information will not be made public until after the patch is made available. A: Please email the Plone Security Team at security@plone.org rather than publicly discussing potential security issues. To report potentially security-related issues, email the Plone Security Team at security@plone.org We are always happy to credit individuals and companies who make responsible disclosures.